Audi Club of North America Northwest Chapter (ACNW) is a long-time customer of ours. They first started using our system back in 2004 and John Ewald has worked with us every step of the way. 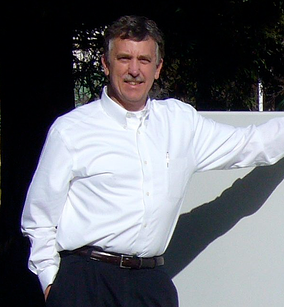 John has been with ACNW since 1995 when it was Quattro Club USA. He now serves as the Registrar, an Instructor and Committee Member. He’s a long-time track day enthusiast and member of several different car clubs. Our MotorsportReg.com team and John have worked closely together and we consider him one of our biggest advocates. He really thinks about how our software can complement the ACNW process (especially for driver schools) and how it can be better. We’ve implemented many of his suggestions over the years. Recently we chatted with John about his club and the secrets to their success. MSR: What types of events does Audi Club Northwest run? What are your season highlights? John: We offer driver education, autocross, lapping days, tours, and socials. Our two biggest events are the Matt Ammon Memorial Driving School which offers a teen clinic, DE school, autocross and instructed lapping, and Quattrofest in November which includes the same events plus a wonderful banquet. MSR: What makes your organization unique? What is your club really good at? John: I think all good organizations would say "the people!" and that is certainly the case with ACNW. Our club is really good at sharing and driver skill development. Club members are always willing to help. MSR: Why do you keep doing what you’re doing? What motivates you? John: I find performance driving to be relaxing! There is no room for extra thoughts on unrelated subjects. But coaching is the best. It’s incredibly rewarding to help others acquire their interest and driving skills. MSR: What lessons have you learned about running events? John: Do little things all the time, versus allowing tasks to build into a desperate time robber. MSR: As part of your MSR registration form, your club collects donations for a children’s hospital. Can you tell us a little more about that? John: Audi Club Northwest is invested in the community in several ways. One of those ways is by collecting member contributions at driving and social events to support Seattle Children's Hospital through the SOVREN Guild. This contribution has grown each year since 2008. In 2011, the ACNW Board formalized an annual commitment to Children's Checkered Flag Club, recognized as part of the annual gathering at the Pacific Northwest Historic Races in July. It’s a worthy cause to help fund uncompensated care to the kids. Lots of fun too! MSR: Has MotorsportReg.com helped make your events easier and more fun to organize? John: Absolutely! It has changed club event organization from a 3-ring binder-based soul-killing and stressful time robber to a multi-tasking electronic system shared by a team of club people. That environment can still be stressful but it is soooo much easier now. MSR: John thanks for chatting with us! John: You’re welcome. ________________________________________________________________________________________ Audi Club Northwest is focused on driver skills development with three driver schools each year in January (Monroe, WA), May (Bremerton, WA) and November (Portland, OR). The skills introduced and practiced at these schools are then expanded in performance driving events held at the region's challenging tracks near Seattle and Portland, including Pacific Raceways, The Ridge Motorsports Park, Bremerton Motorsports Park, Oregon Raceway Park, and Portland International Raceway. There are wonderful Tours with very interesting content, and a calendar of social events and regular gatherings. ACNW has been called "a good bunch of people," a diverse and welcoming mix of men and women who enjoy each other and driving. Click here to find and register for their events. And check out their website for more information about how to join Audi Club Northwest.